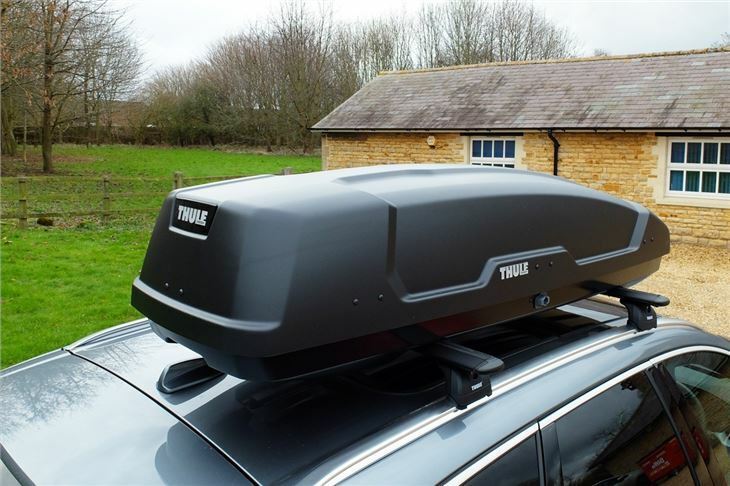 There's no shortage of choice when it comes to Thule roof boxes with the main two model ranges being the Motion and the Force - available in various sizes up to XXL if you need serious cargo space. The Motion is the top of the range and we've already tested the Motion XT Sport so we're now seeing how the cheaper Force XT Sport compares. Priced at £325 for the box on its own, the XT Sport is the smallest in the Force range and offers an extra 300 litres of carrying capacity. The Force ranges progress through medium and large up to the XL which can swallow 500 litres of extra space and costs £425. 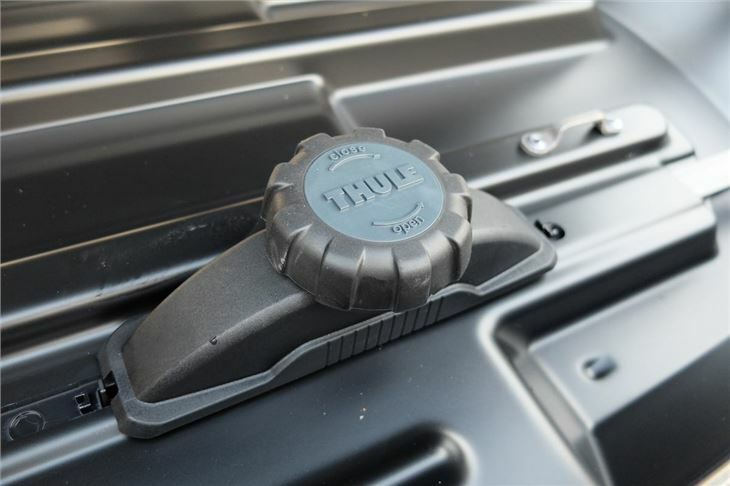 Thule describes is as a 'versatile box for everyday use' and it comes with the same PowerClick quick-mount system as the Motion range as well as dual side opening - meaning it can be opened from either the right or left. 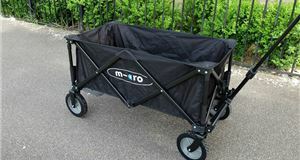 It has a locking system to keep contents safe and comes in a matte black finish as opposed to the gloss finish of the Motion range. 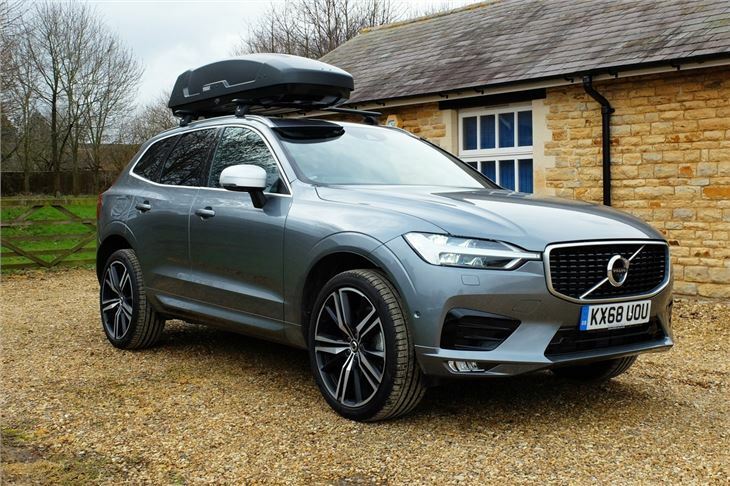 We're testing it on a Volvo XC60 and using the Thule WingBar Evo with the 753 Rapid System which comes in at £260 in total. This also includes the specific adapter kit for fitting the bars to the roof rails on the Volvo. 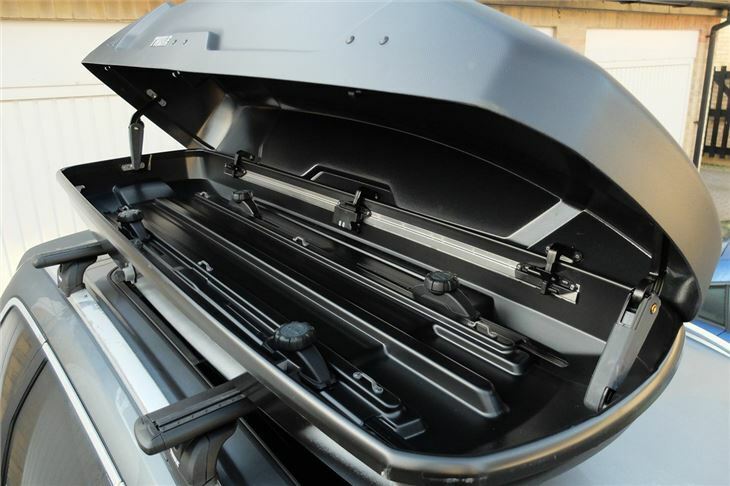 You may find it quite confusing that Thule has both the Motion range of roof boxes and the Force range, especially when both look so similar. The Motion is the top of the range and more features like the upgraded SlideLock system along with a special lid designed to be more rigid. The Force range, which we're testing here, does without those features but does get the PowerClick quick-mount system. 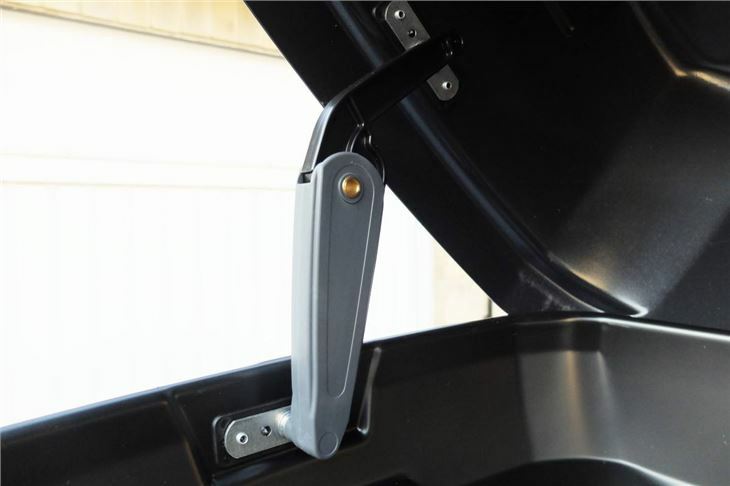 This means the box is easy and quick to fix to the roof bars, although it's a two person job to get it on top of your car, especially if you have an SUV or a crossover. The box isn't overly heavy at 15kg, but its size and bulk make it hard to move, especially as the smooth shape means it is tricky to grip. 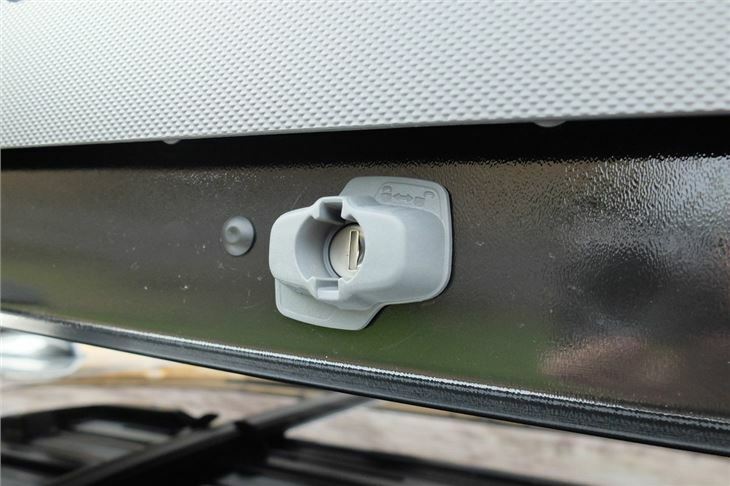 But once in place, the PowerClick grips just require tightening up to make sure the box is in place and secure. Again, if you have a taller car, you will need to stand on the door sills to reach the adjusters. You can't overtighten them though as they have a built-in torque system which means they simply click if you continue to twist the dial. 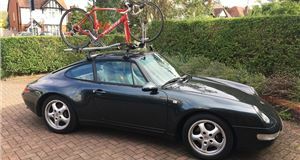 Similarly, removing the roof box is a doddle and means you can easily take it off when not needed (with two people), which is handy if you want to park in a multi-storey or heigh restricted car park. It also means less noise on the move of course. Thanks to the DualSide system, the Force XT Sport can also be opened from either side, so it doesn't matter which side of the car you want to fit your box. However, while the box itself is robust, the lid doesn't need as rigid as the Motion XT Sport we tested and it wobbles a fair amount when you're flipping it open. As a result, we tend to be quite careful and gentle when pushing it open for fear of damaging the hinge mechanism. Unlike the Motion, the Force doesn't have the slide lock on the side, instead, it has a rotating barrel. We found this a little reluctant to open at times - and again you don't want to force it for fear of damaging something. It means it can be a little frustrating trying to get it to unlock, especially when it's cold, wet and/or dark. The storage part of the Force is identical to the Motion, with plenty of useable space, albeit with the intrusions from the PowerClick locks. Still, for soft bags and the like, it's brilliant. 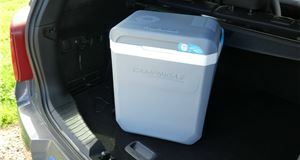 There are straps included which thread through mounts on the base, allowing you to keep everything secure on the move. You can fit up to five pairs of skis in (or four snowboards) and we've found it handy for carrying cabin-sized suitcases and extra pillows and duvets for nights away. 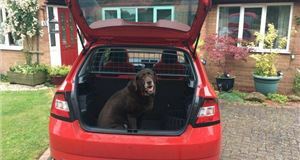 While the lock can be a little tricky, once the roof box is closed and locked, it feels very secure. 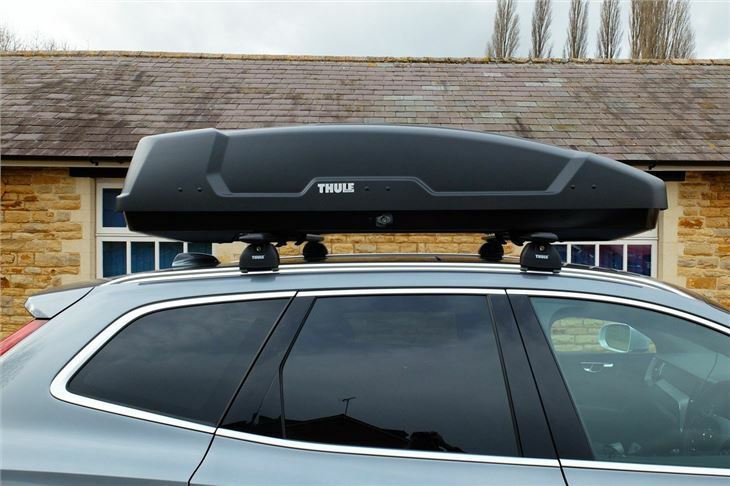 The key and lock are robust, as you'd expect from a roof box made by Thule. 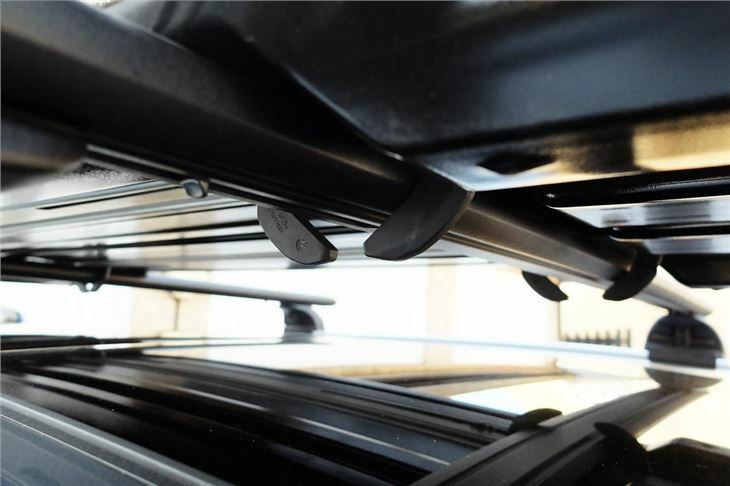 The matt black finish may not look as good as the gloss of the Motion range, but it has its advantages, showing up dirt less and being less prone to scratches, especially when stored in your garage. On the move, the box creates some wind noise as you'd expect, but it's not really any more intrusive than that produced by the roof bars. We found ours created an annoying whistle, but a quick prod and push of the rubber runners soon sorted this out. As with the Motion XT Sport, we found fuel economy dropped by about only 1mpg. 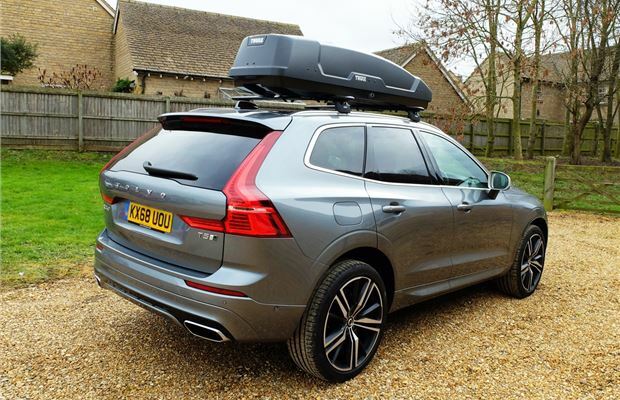 The Thule Force XT Sport is a good choice as an occasional roof box, so for instance if you're likely to only need it a few times a year for holidays or trips away. It's sturdy, well built and secure. Plus the 300 litre of space is very useable, despite the PowerClick adjusters intruding somewhat. It's exactly what you expect from Thule. 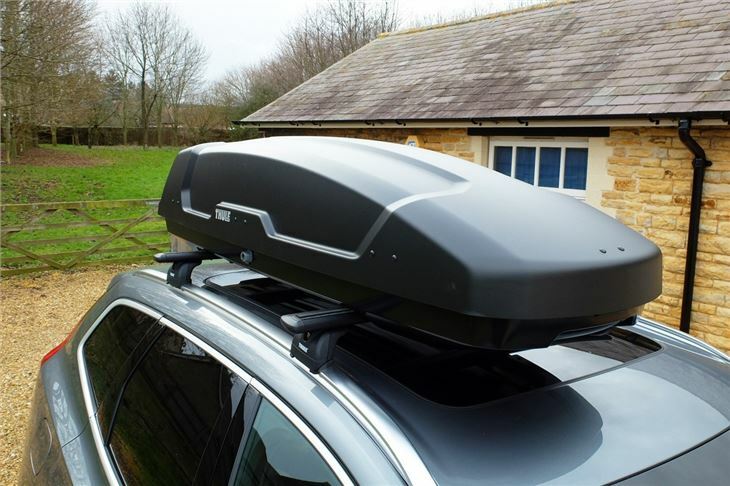 However, we think the Motion range is a better choice if you're going to be using your roof box regularly. The lid feels more sturdy when opening and closing while the sliding lock is much easier to operate, especially if you have cold fingers or you're trying to open the box in the dark after a long drive. That said, at £75 less, the Force is good value and we like the matt finish which seems a bit more hardwearing and won't look as tired as soon as the gloss finish of the Motion range. If you want to save a bit of money, the Force is still a very sound investment.